Basic Freeroll Poker Strategy - Casino Answers! No matter how much you think you know about tournament poker strategy, freerolls are another animal. Remember, a free poker tournament is going to attract a very different type of player than a World Series of Poker or World Poker Tour event. Although ironically, the World Series of Poker is full of online poker players that qualified via poker freerolls at poker rooms like Pokerstars. What kind of changes can you expect? Most notably, the majority of your opponents will be very bad players. They will also be playing very loosely, which has a big impact on proper poker strategy. Some players may get frustrated and impatient during the tournament, while more players than usual won’t bother showing up at all, or might leave during the tournament and let themselves be blinded out. If you have a handle on solid poker strategy, you’ll do fine in free poker tournaments; most of your opposition will play very badly. Still, with a few simple adjustments to standard tournament poker strategy, you’ll see your results in freerolls improve dramatically. Don’t get fancy. You’re not playing against great players, so there’s no reason to go for elaborate bluffs or other tricky plays. Most of your opponents will only be thinking about their cards, and won’t even consider what you have. In fact, there’s rarely any reason to bluff at all in freerolls – deception shouldn’t be a big part of your gameplan. Make the most of your big hands. In a regular poker tournament, you wouldn’t want to move all-in before the flop early in a tournament without AA, or possibly KK. In a freeroll, you must adjust for your extremely loose opponents; many of them will call off all their chips with small pocket pairs, two face cards, or in some cases, even less. 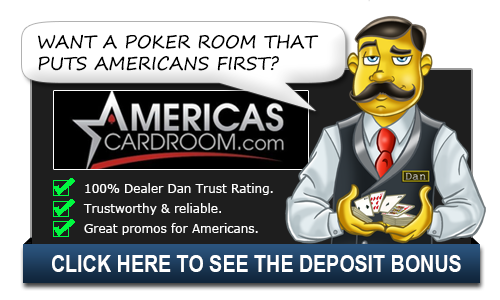 Knowing this, you can make large bets with premium hands – perhaps any large pocket pair or big ace – and expect to be called quite often by hands you are way ahead of. Play tight. If you’re at a table where raises before the flop are rare, you can play speculative hands and hope to hit the flop hard. But in 99% of freeroll tournaments, this won’t be happening. If you have a typical table where all-ins are common and multiple people are calling them, you should only be playing strong hands. That said, when you do play, pay attention to the previous tip and make it count. The blinds are likely to raise fast in a free poker tournament, and you’ll need to accumulate chips. Watch for changes late in the tournament. By the time there are only a few tables left in a freeroll, the remaining players will tend to be a little stronger and have a fair understanding of basic poker strategy. At this point, you might consider giving your opponents a little more respect, and not presume they’re playing trash. At the same time, if there are fewer preflop all-ins and you have a deep stack, you can loosen up a bit and play more speculative hands. While these strategy adjustments will get you far, the most important thing to remember is to stay focused throughout the tournament. Most players will slip up somewhere during a long event, and one mistake can be the difference between pulling down a prize and going home on the bubble.